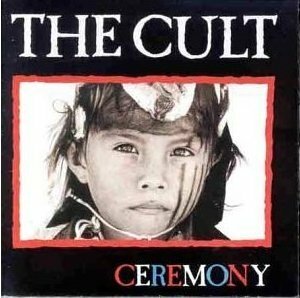 Ceremony is an album by rock band The Cult, first released on 10 September 1991. The album was highly anticipated by both music critics and fans as a result of the band's previous worldwide successes with their 1987 album Electric and its 1989 follow up Sonic Temple. It was heavily inspired by Native American culture. The band was sued for US$61,000,000 by the parents of the American Indian boy pictured on the album cover named Eternity Dubray, who was listed in 2008 as a janitor at Red Cloud Indian School, in Pine Ridge, South Dakota. The album reached #25 and achieved platinum status in the U.S., and reached #9 in Canada, but sales suffered with the arrival of grunge rock and time spent dealing with the lawsuit. Some countries, including South Korea and Thailand, did not see the record's release until 1992 and it was unreleased in Turkey until the Cult played several shows in Istanbul in June 1993. Also, Ian Astbury and Billy Duffy's working relationship was at an all-time low at this point, with the two reportedly rarely in the studio together, opting to record their parts individually. Astbury and Duffy were this time working with Todd Hoffman and James Kottak during the demo recordings, and during the actual album recording sessions with Mickey Curry, on drums, bassist Charley Drayton and various other performers.